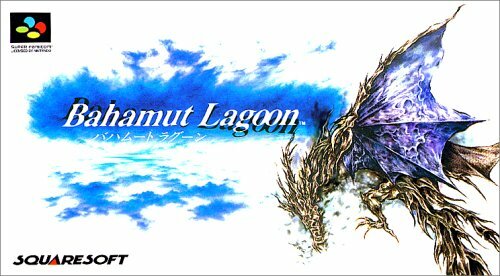 Recorded on Super Famicom system w／capture card Intro． Another passed up Squaresoft masterpiece． For all the newbs that never heard of this game even though it has the name Bahamut in it it has no relation with Final Fantasy． But at one point it came close to being that． When Bahamut Lagoon was in its early development state it was originally proposed to be called THE ’Final Fantasy Tactics’． But somehow they thought the game didn’t have enough Final Fantasy references． So Squaresoft wrote it off as a different game on its own and the FFT name was reserved for several years later when they developed for Playstation． The Super Famicom／Super Nintendo really shows its potential in this． Lagoon’s graphics are so damn beautiful! Recorded on Super Famicom system w／capture card Battle 2． Very straightforward battle． Objective： Kill the leader and his underlings will punk out． Of course it’s best to do it the long hard way to get more experience and come out stronger． Had to cut out one enemy phase argh! Can’t take this 10 min limit no more! !